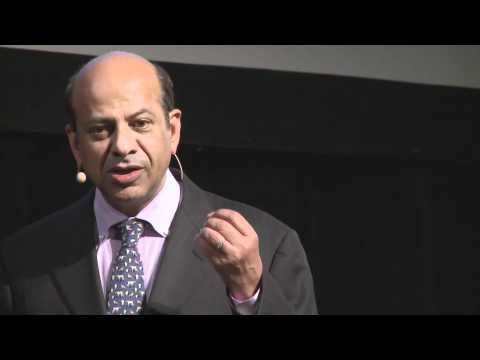 Vijay Govindarajan is widely regarded as one of the world's leading experts on strategy and innovation. He is the Earl C. Daum 1924 Professor of International Business and the Founding Director of the Center for Global Leadership at the Tuck School of Business at Dartmouth College. Dr. Govindarajan was also the 2009 Professor-in-Residence and Chief Innovation Consultant for General Electric. Dr. Govindarajan has been recognized by BusinessWeek, Forbes, and The London Times as a top thought leader in the field of strategy. He works with CEOs and leading management teams in Fortune 1000 corporations to discuss, challenge, and escalate their thinking about strategy. Dr. Govindarajan is the co-author of the bestselling book, Ten Rules For Strategic Innovators: From Idea To Execution, which has been rated by The Wall Street Journal as a "Top 10 Recommended Read". He is also a regular keynote speaker at CEO forums and major conferences including the World Innovation Forum and BusinessWeek CEO Forum. Leading strategic experiments is the triple-flip-with-a-quadruple-twist of general management. No matter how talented and experienced the leader, chances are that this is a new and unfamiliar challenge. Dr. Govindarajan can help you understand the three fundamental challenges faced by strategic experiments, and can offer several specific recommendations to help you overcome them. Even world-class companies with successful business models eventually hit the ceiling on growth. That’s what makes emerging industries so attractive. These markets represent huge opportunities for capturing long term growth and competitive advantage. But because they lack a proven formula for making a profit, they are risky and expensive with dire consequences for failure. 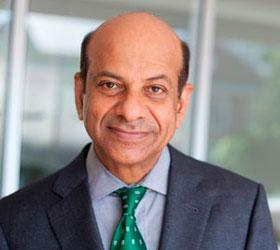 Dr. Vijay Govindarajan argues that every organization’s survival depends on strategic experiments that target such untested markets, but few firms understand how to implement them successfully. Too many managers think that a great idea is enough to get them from business plan to profitability, but somewhere in the middle of the innovation process, most organizations stumble. Dr. Govindarajan reveals where firms go wrong on their journey from idea to execution and outline exactly what it takes to build a breakthrough business while sustaining excellence in an existing one. Dr. Govindarajan illustrates ten rules to help organizations overcome these challenges, and shows how firms must rewire their organizational DNA across four main areas: staffing, structure, systems, and culture, in order for a promising new venture to succeed. He also spells out the critical role senior executives must play in managing the inevitable tensions that arise between today’s business and tomorrow’s. Breakthrough growth opportunities can make or break companies and careers. Dr. Govindarajan can present a guide to execution in unexplored territory. How does global presence create three potential avenues for value creation: adapting to local markets, capturing economies of global scale, and leveraging knowledge across subsidiaries? We now live in an era of constant change, driven by the dynamic forces of technology, globalization, the Internet, changing demographics, and shifting customer preferences. As a result, companies find that their strategies need almost constant redefinition either because the old assumptions are no longer valid, or because the previous strategy has been imitated and neutralized by competitors. This compelling presentation will explain how to overcome these challenges and succeed in the ever-changing business environment that is now reality. You must innovate, not simply export, if you want to capture the mammoth growth opportunities in the developing world. The stakes in emerging economies are global not local. Passing up an opportunity in the developing world today may invite formidable new competition in your home markets tomorrow. Legacy multinationals must rethink their dominant organizational logic if they are to win in an era of reverse innovation.